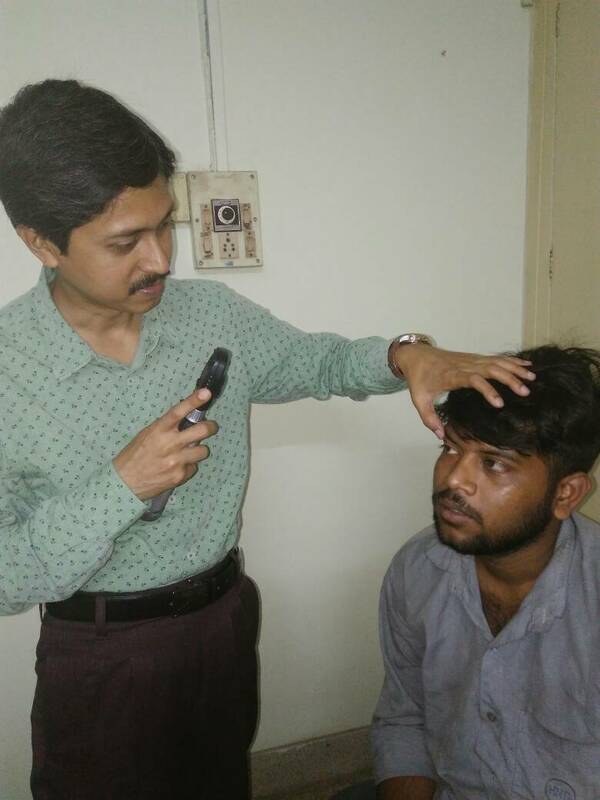 God's ways, our hands... 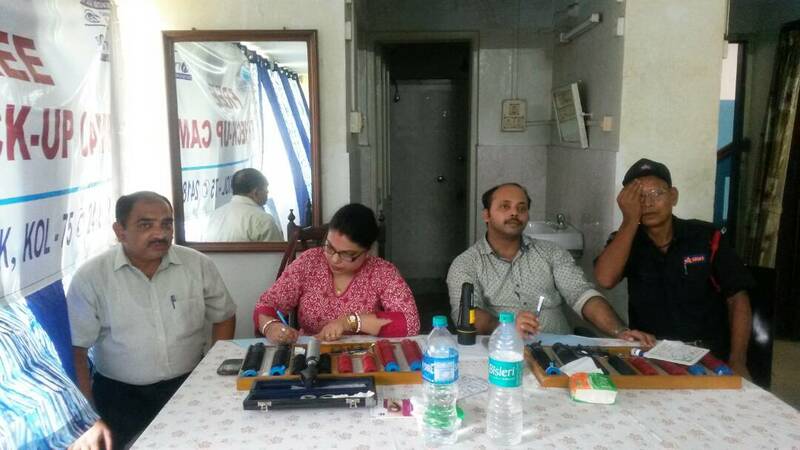 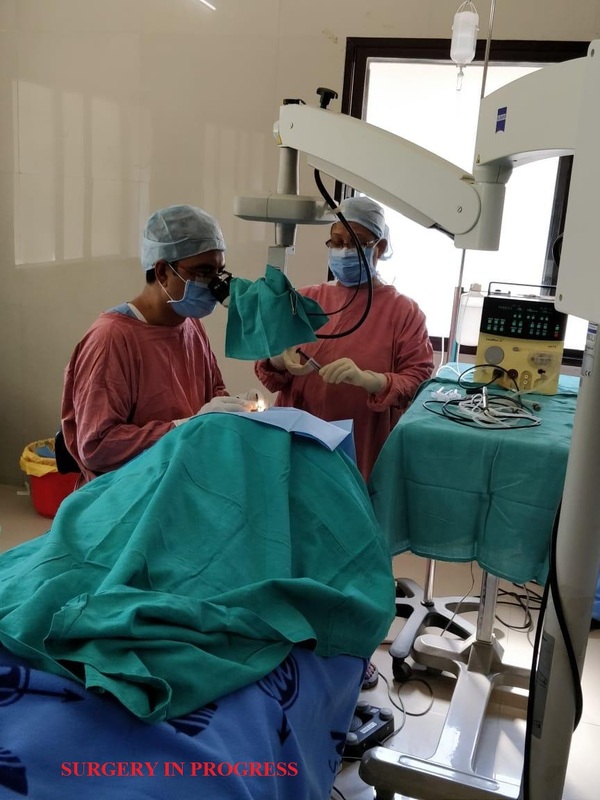 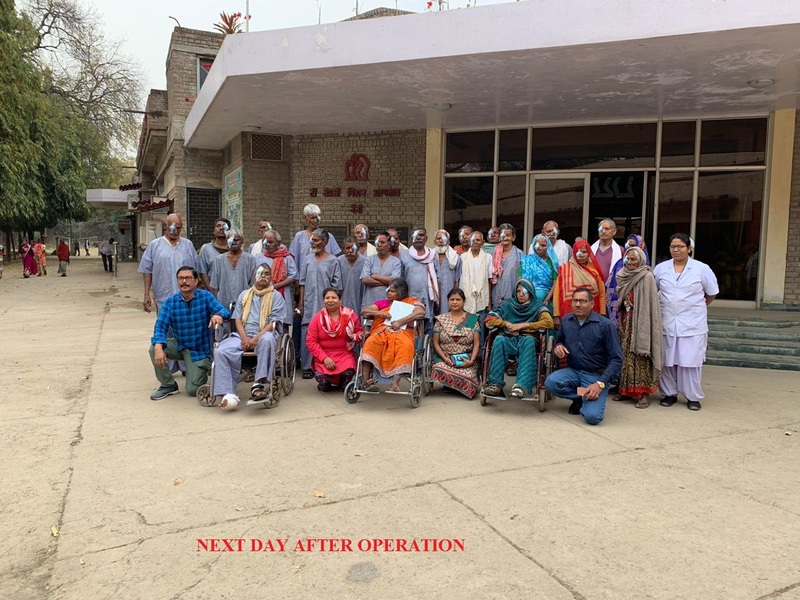 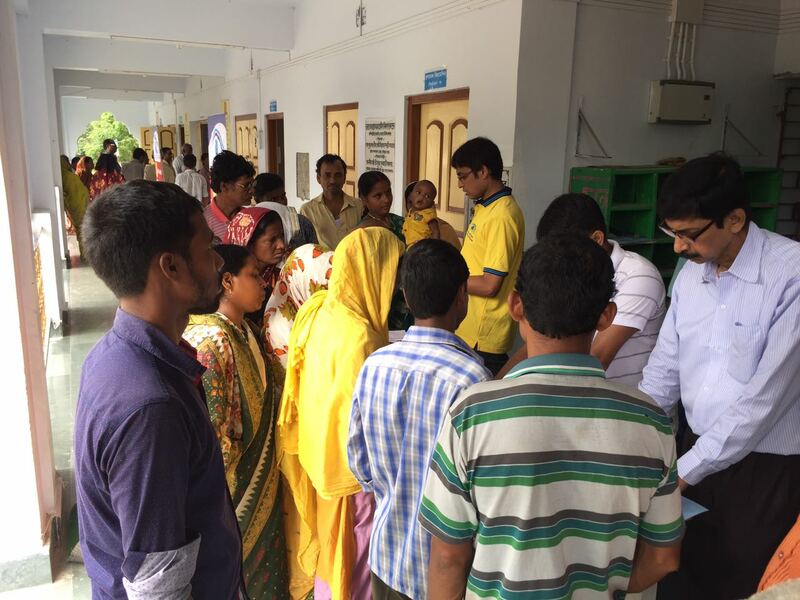 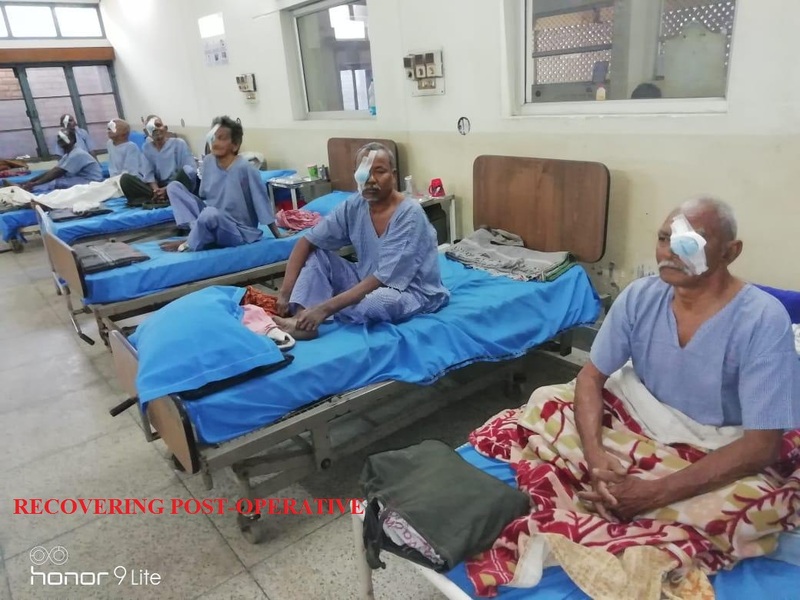 Yet another successful free surgical eye camp for truly indigent patients - many of them leprosy-afflicted - a total of 30 sight-restoration eye surgeies on Sat 16th March 2019 by our team at The Leprosy Mission Hospital, Naini, Prayagraj, with our phacoemulsication equipment & instruments, transported all the way from our centre. 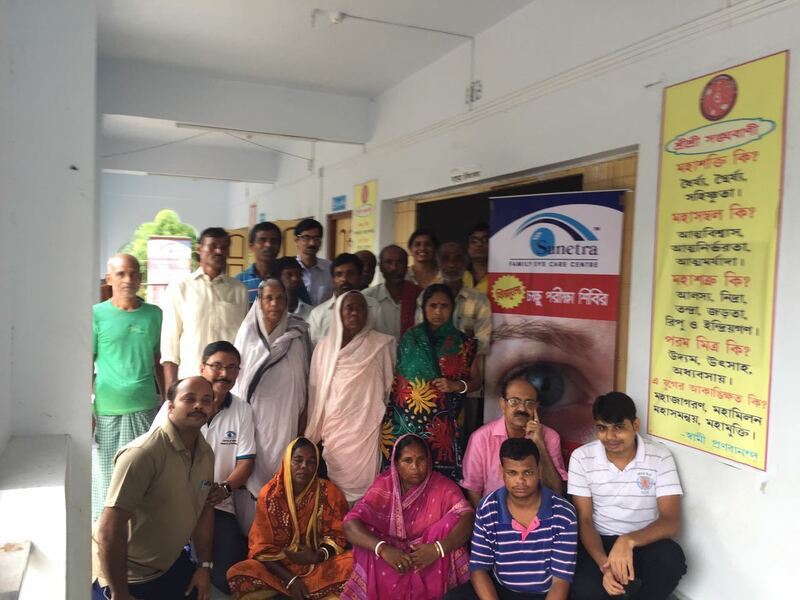 Sunetra team at Gangasagar island, courtesy Bharat Sevashram Sangha for outreach eye screening camp on Doctors' Day 2017, Sat 1st July. 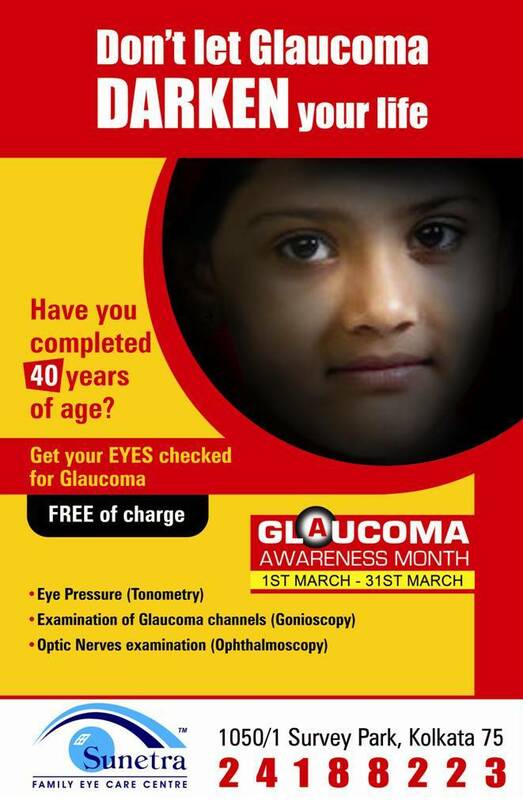 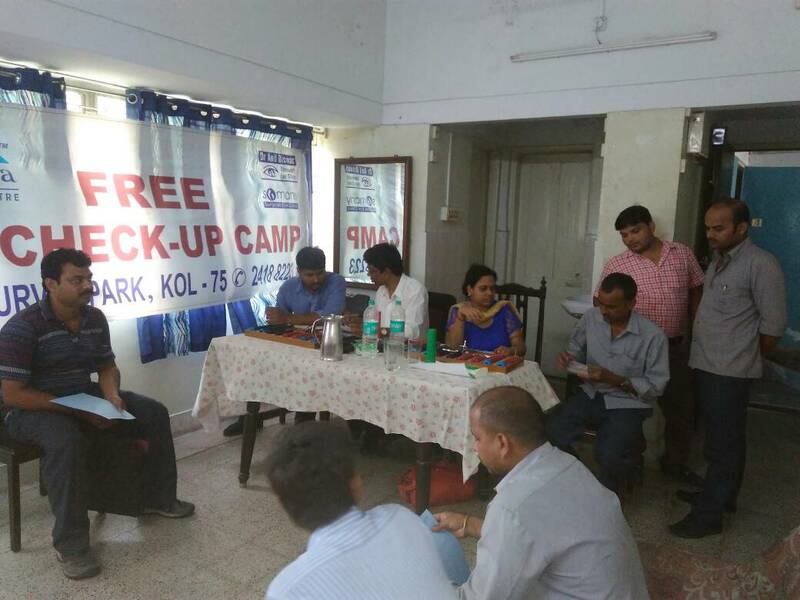 182 patients were screened. 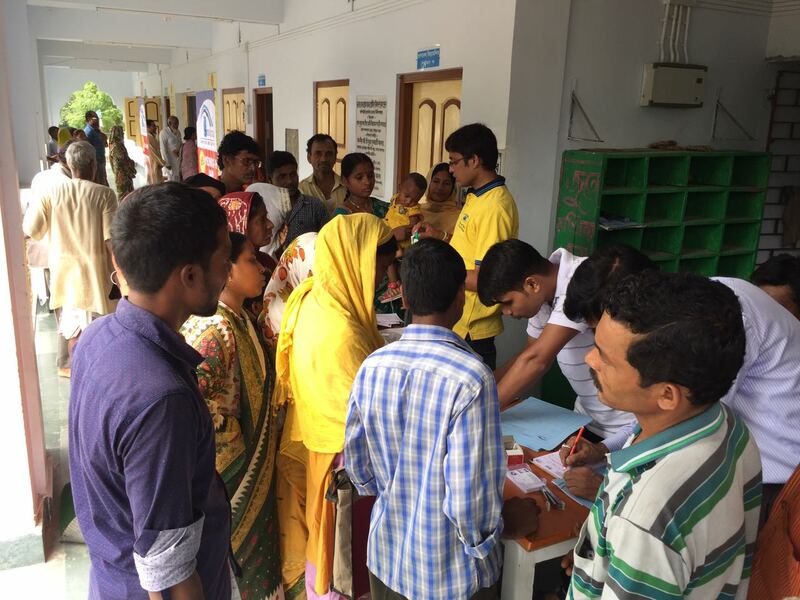 Medicines distributed free of cost. 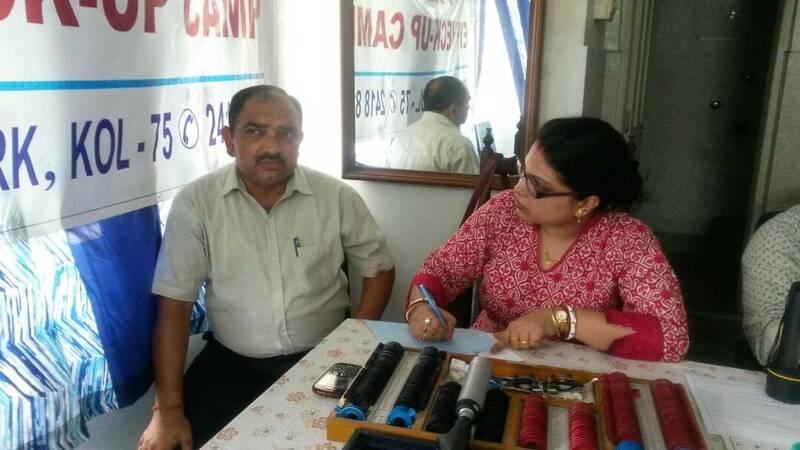 Sixty-seven prescriptions for corrective spectacles. 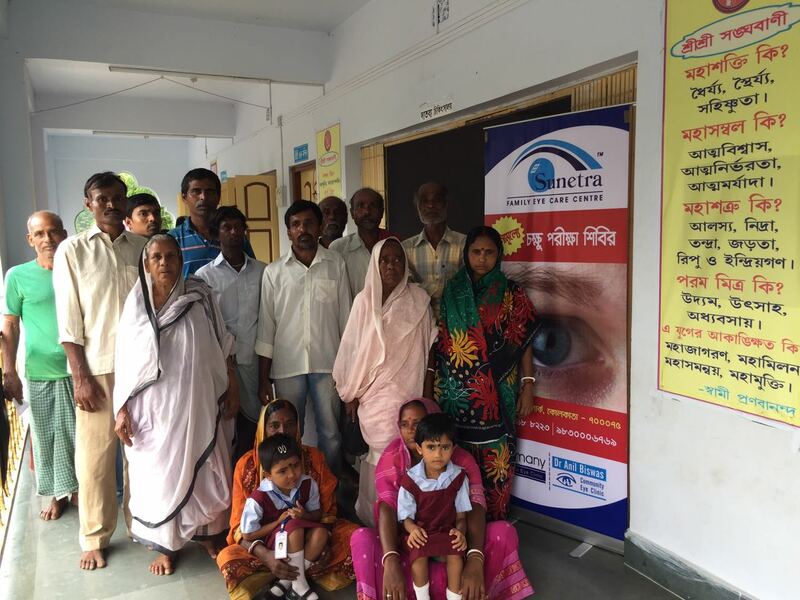 Thirty-seven persons advised surgery for sight restoration, which Sunetra Family Eye Care Centre is pledge-bound to conduct free of charge. 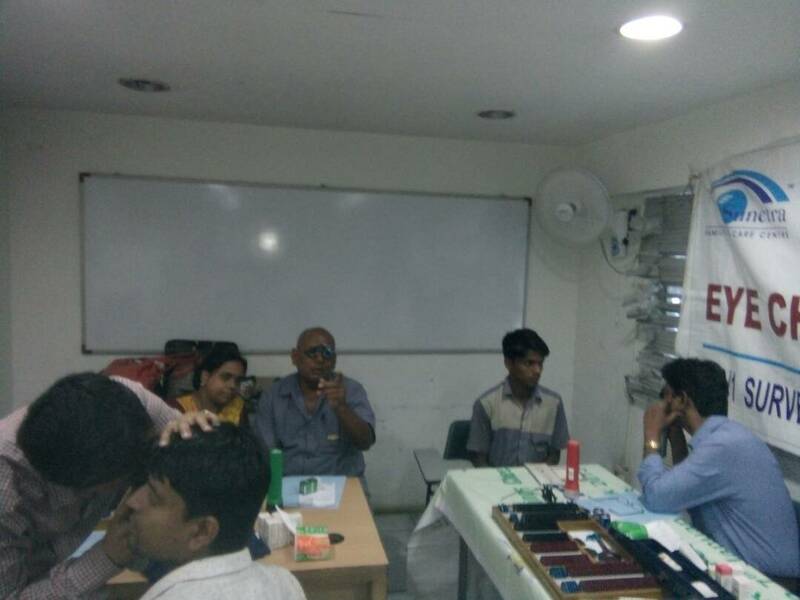 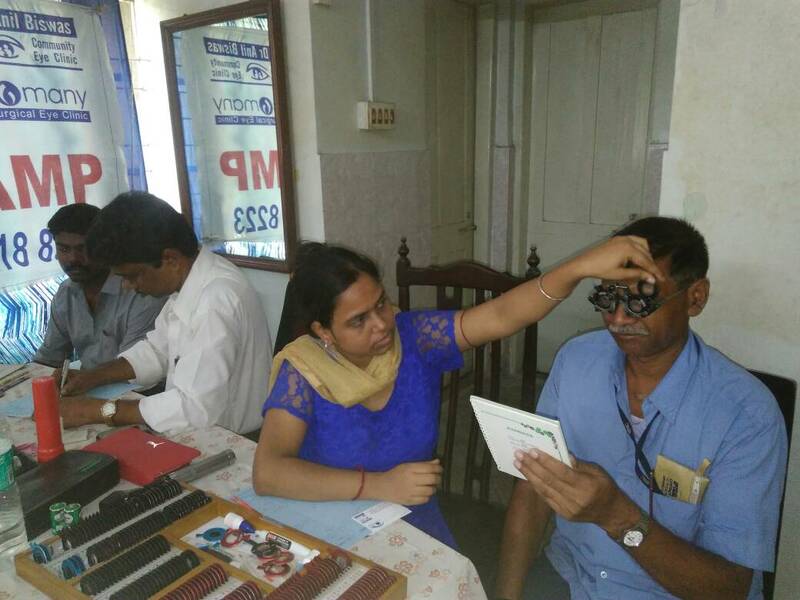 Sunetra team at Hindustan National Glass & Industries Ltd, Rishra for free eye check up camp on 25th & 27th May 2017. 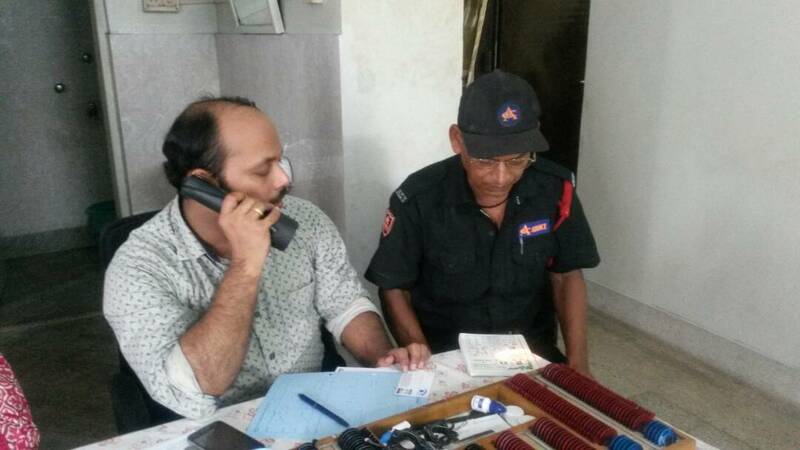 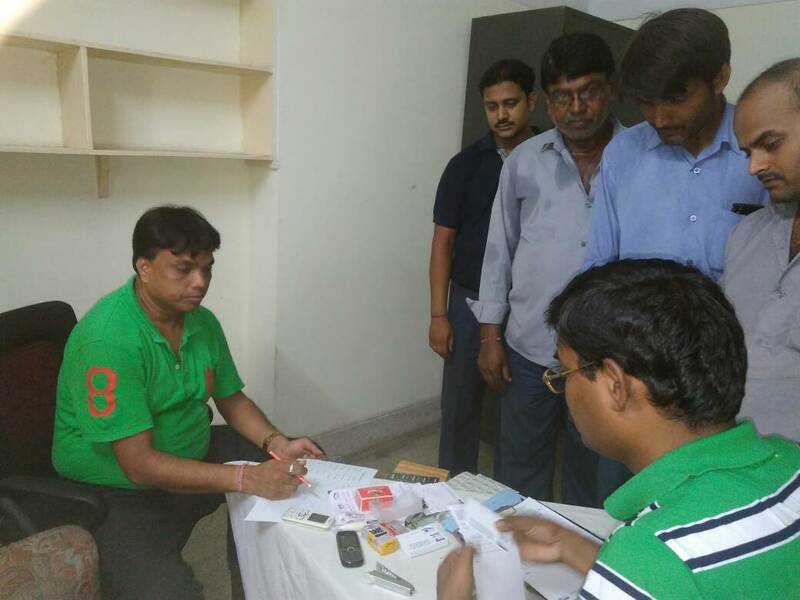 176 patients were screened, appropriate medicines were distributed free of cost. 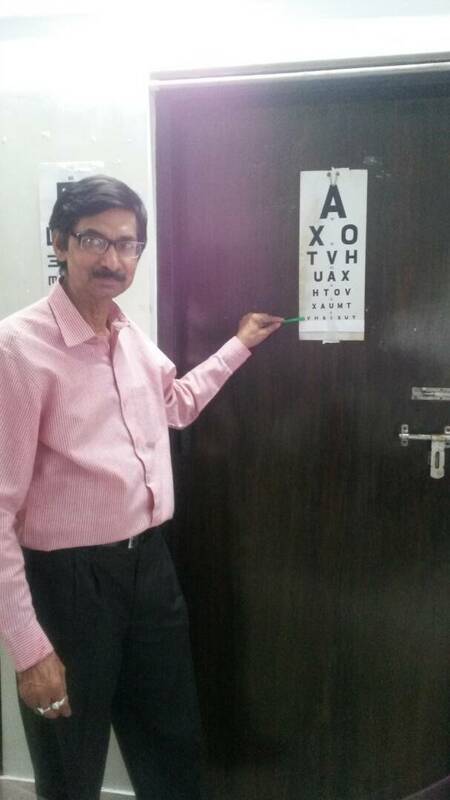 The staff and members of Sunetra Family Eye Care Centre (a unit of Calcutta Eye Research Foundation), deeply mourn the sad demise of Sri Chandra Kumar Somany who left us for heavenly abode on Wednesday, 17th May 2017. 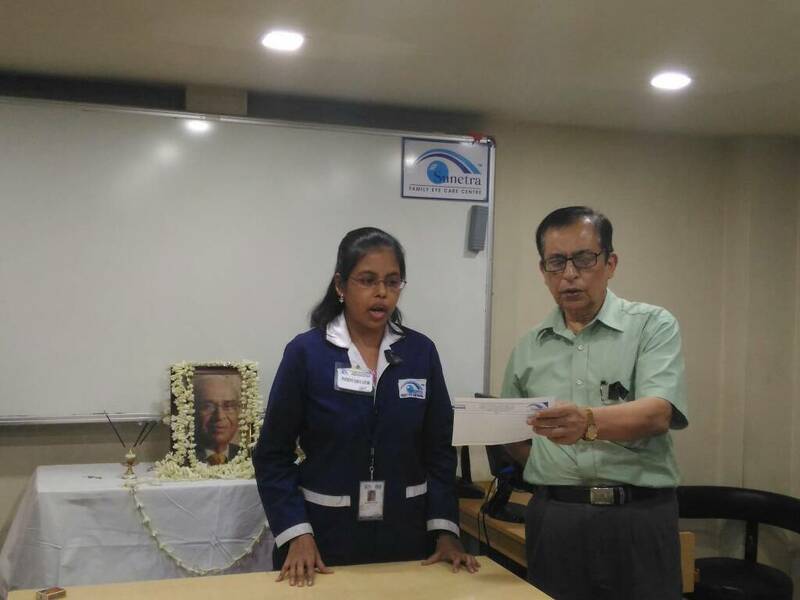 Sri C K Somany was not only a senior trustee of our foundation but also a proud well-wisher, a guide, a promoter of charitable services for the indigent, a stickler for perfection, a patriot at heart and a supporter of everything modern and up-to-date. 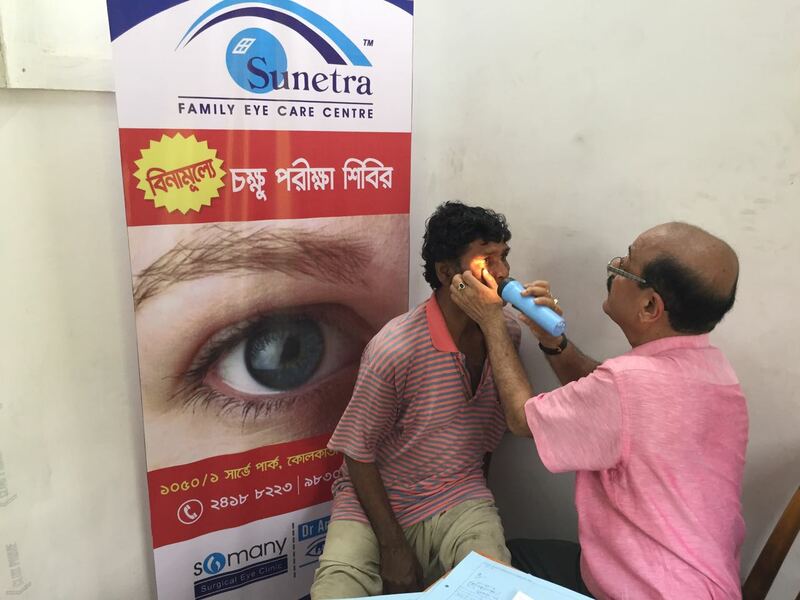 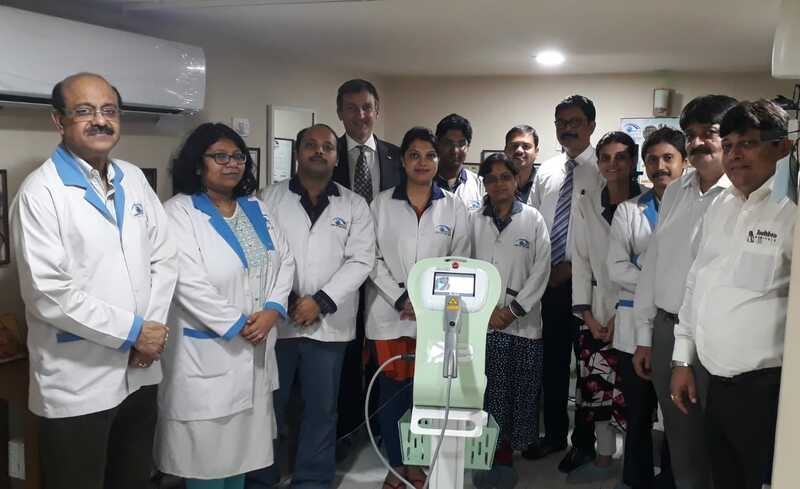 It was because of his total belief in our work and generosity of financial support that Sunetra Family Eye Care Centre was able to reach enviable heights in delivery of state-of the-art eye care for all, irrespective of paying capacity of the patient. 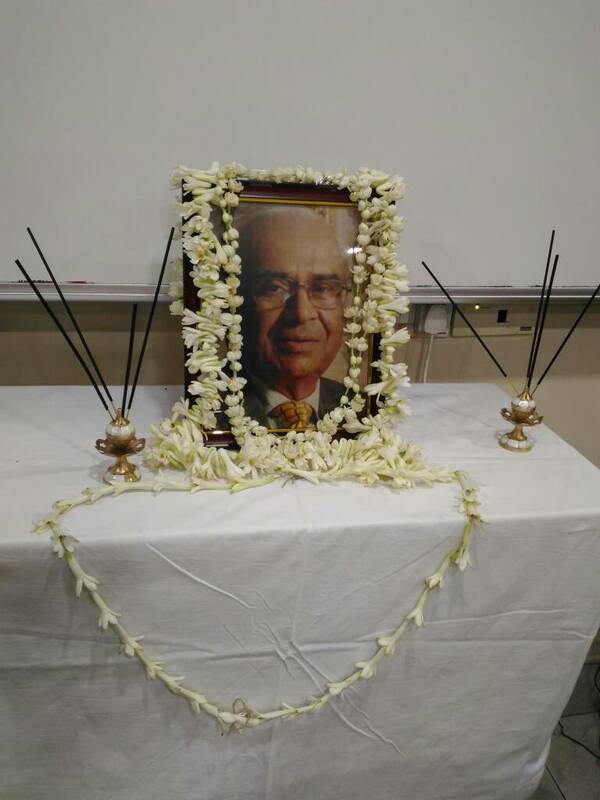 We share our condolences and sincerely pray for a peaceful abode of the noble soul. 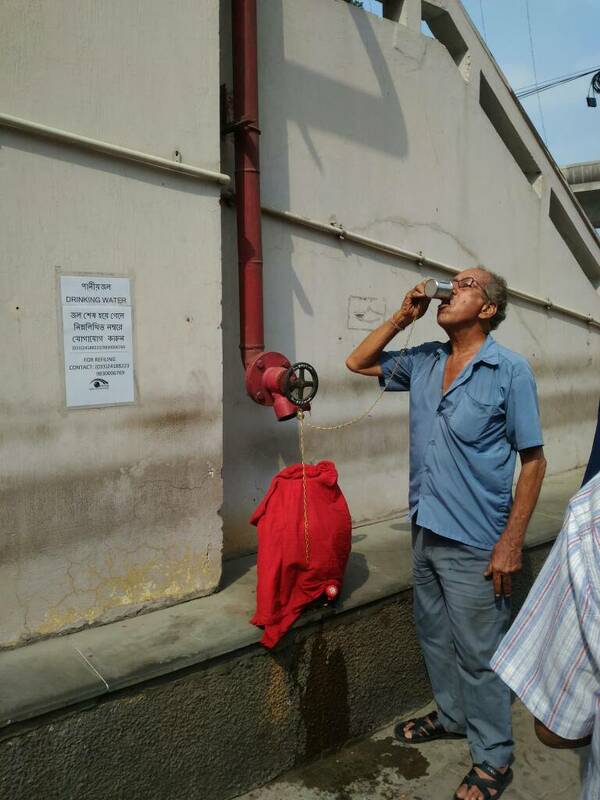 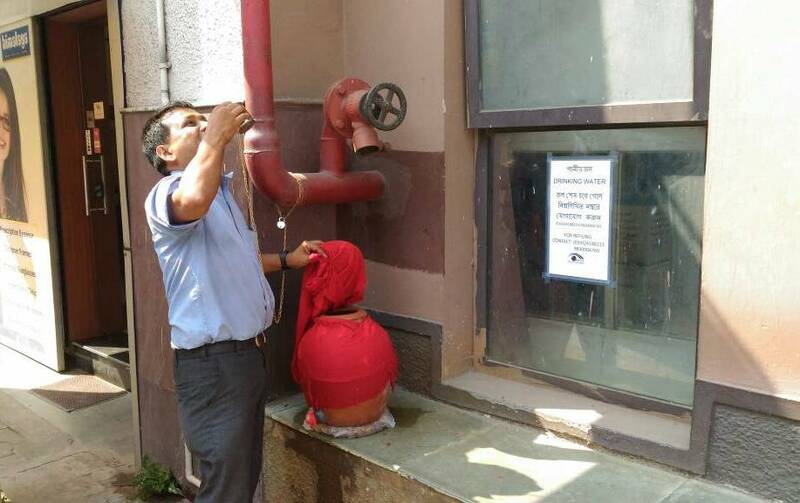 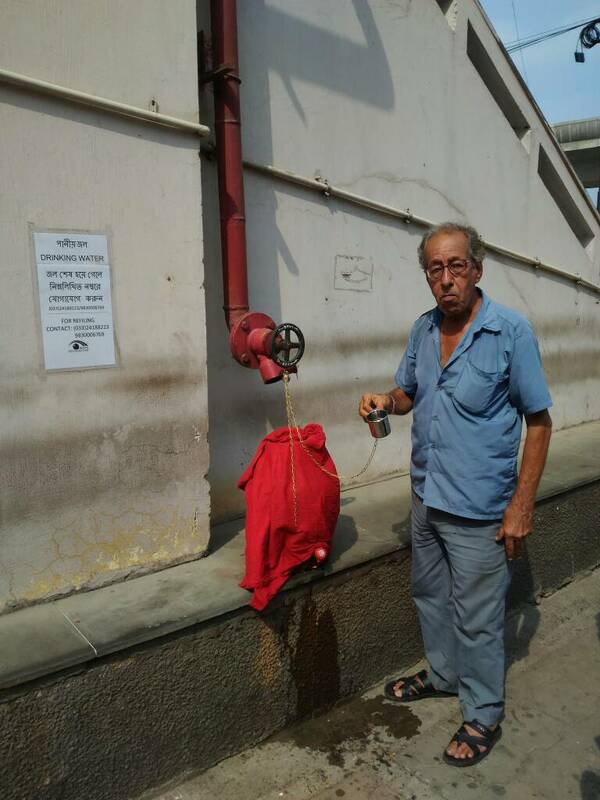 OUR COMMITMENT TOWARDS SOCIAL SERVICE - HELPING ALL PASSERS BY TO QUENCH THEIR THIRST AMIDST THE HOT SUMMER - A PITCHER OF DRINKING WATER AT THE GROUND FLOOR MAIN ENTRANCE OF SUNETRA. 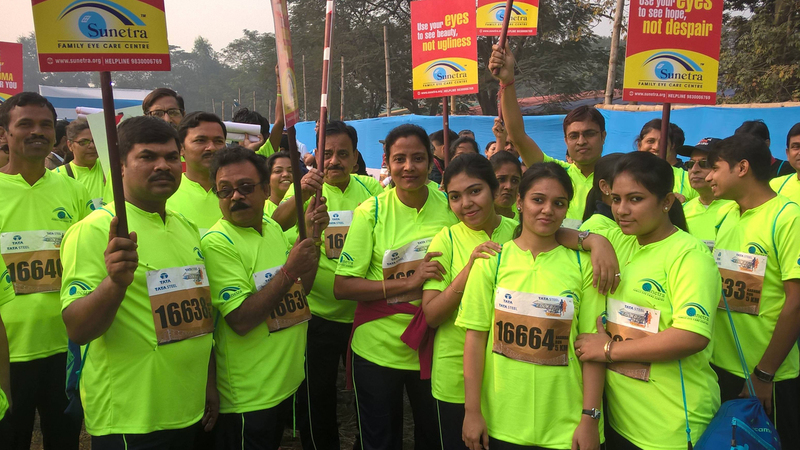 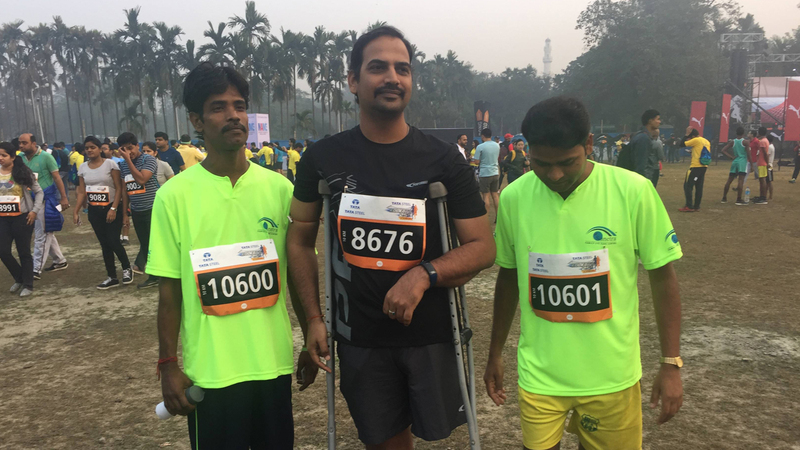 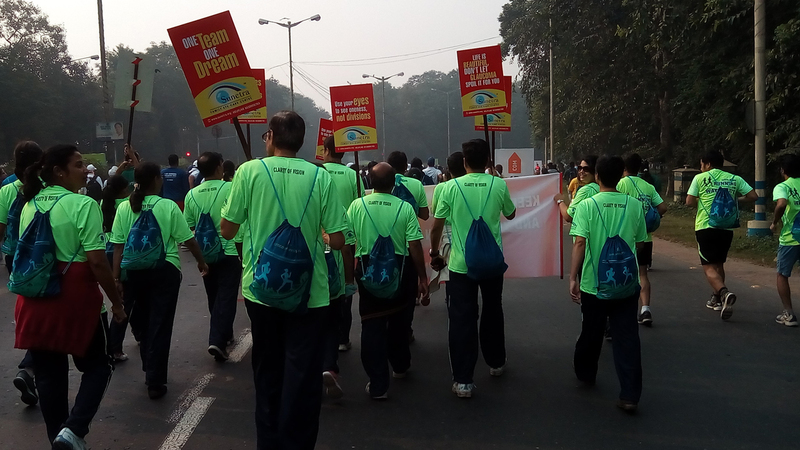 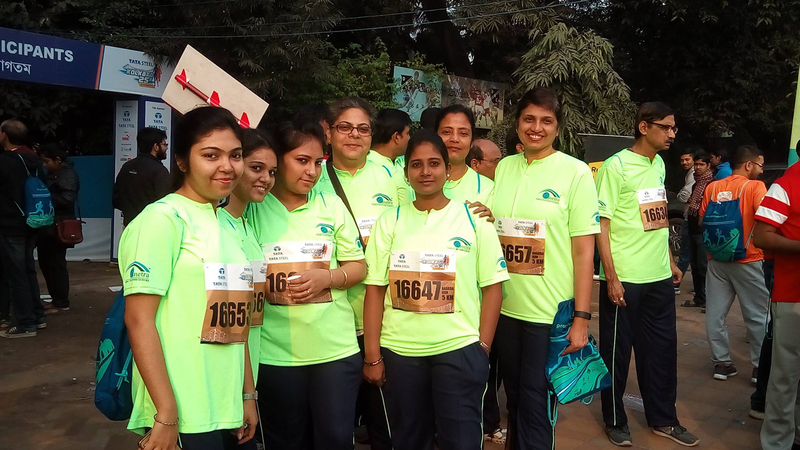 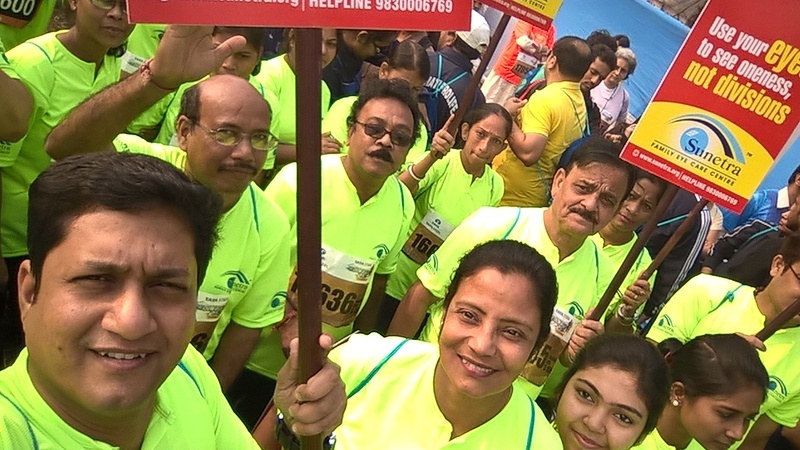 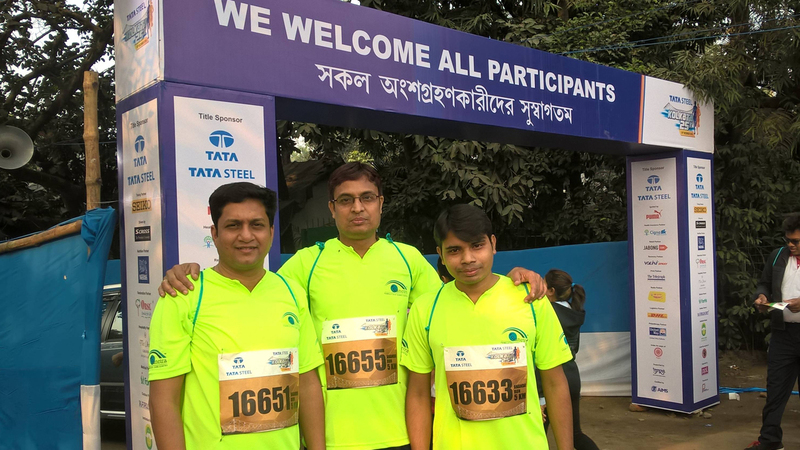 Team Sunetra Family Eye Care Centre participated in the 2016 edition of TSK 25K Kolkata Run last Sunday, 18th December, with pride and fun, and spread awareness about eye care and prevention of avoidable blindness. 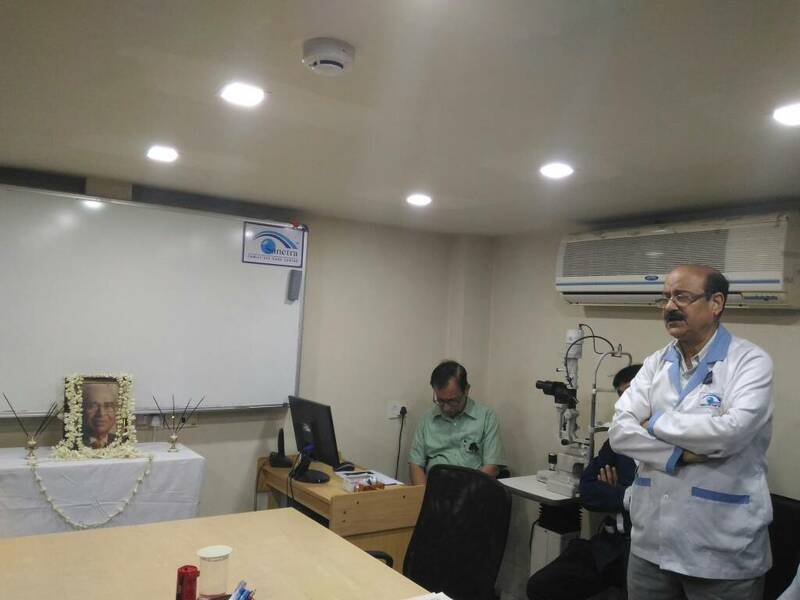 A big thanx to Dr. Amitava Biswas and Sunetra Family Eye care centre for giving the chance to attend Dr.S.K.Rao's wonderful talk.Its always so enriching hearing his experienced views on practical things. 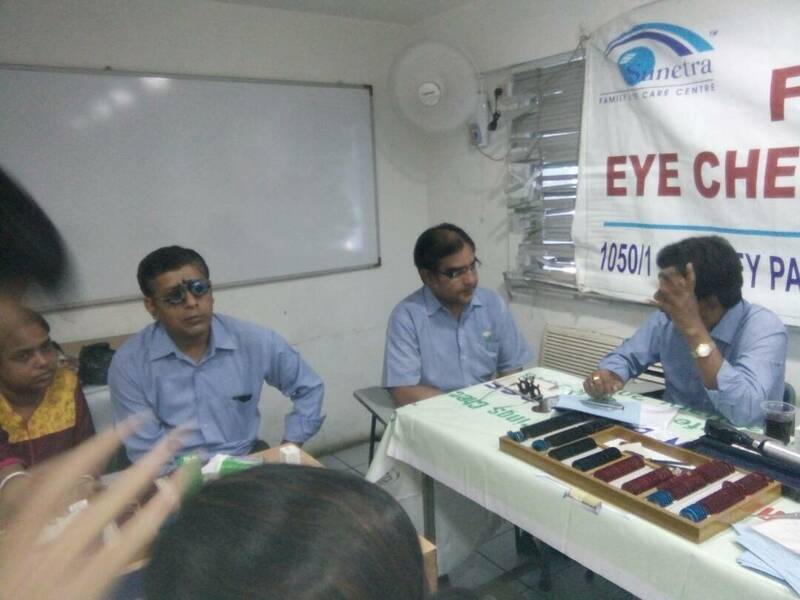 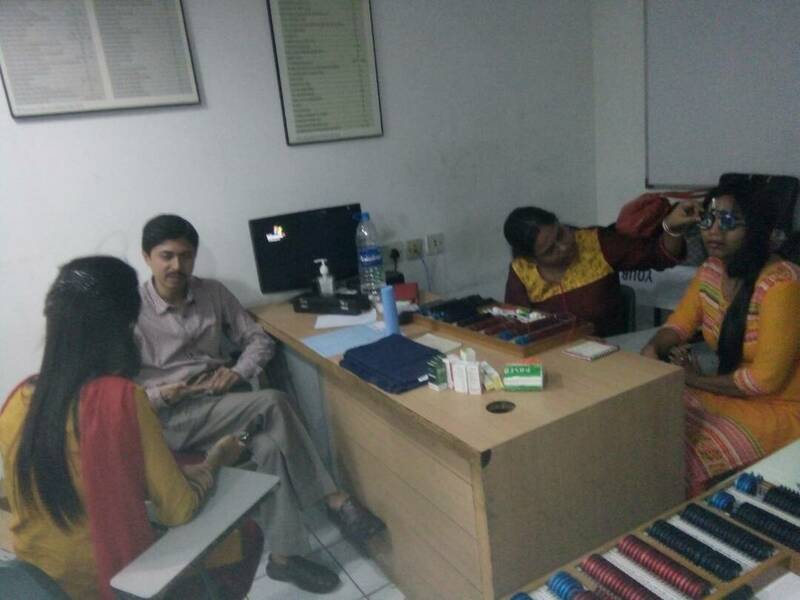 A team of optometrists and clinical assistants from our centre, spread awareness about eye care among the customers and staff of metro cash and carry. 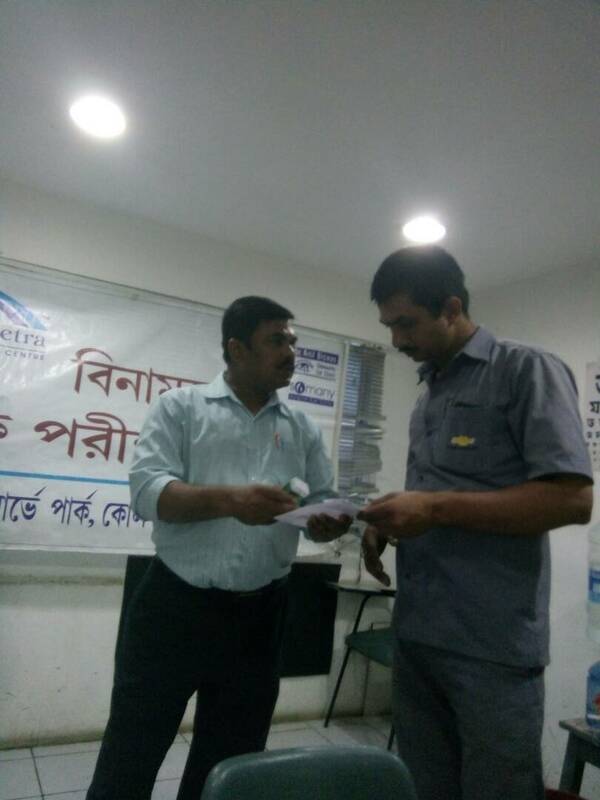 This was carried out over four days earlier this month as part of the anniversary celebrations of metro cash and carry. 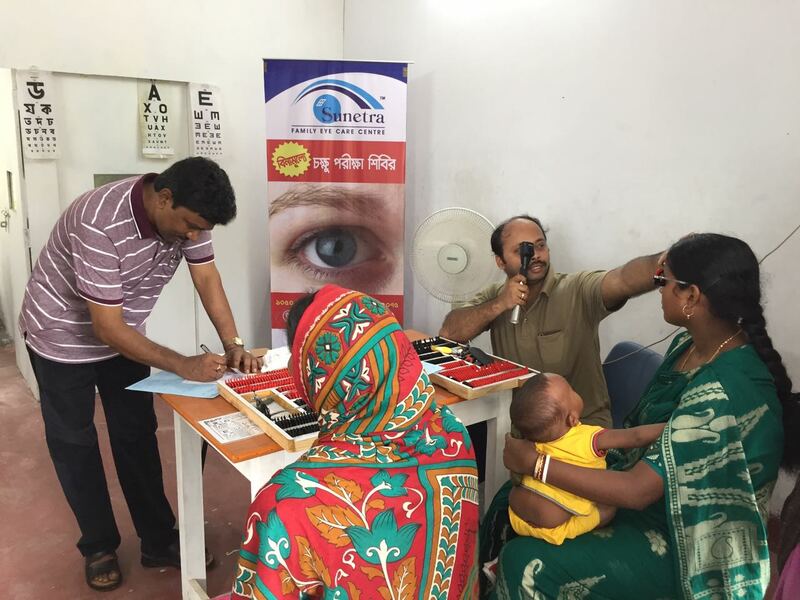 Bimonthly Free Eye Screening Camp @ St Xavier's School, Sahibganj, Jharkhand on Sat 25th June 2016. 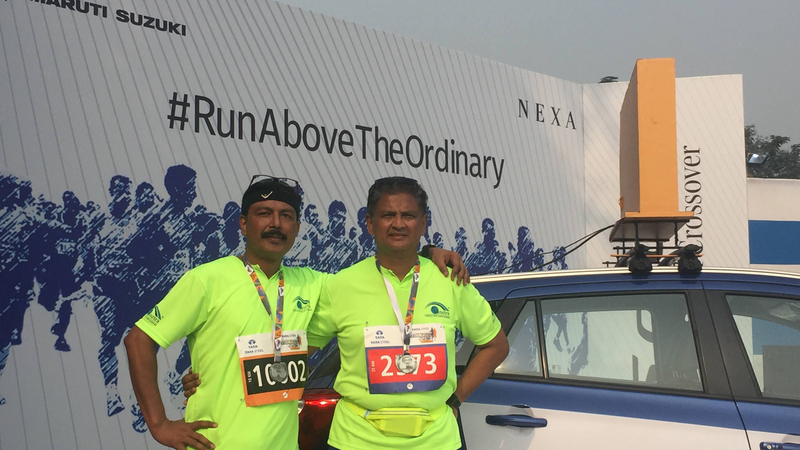 It's been more than four years since the beginning of the endeavour. 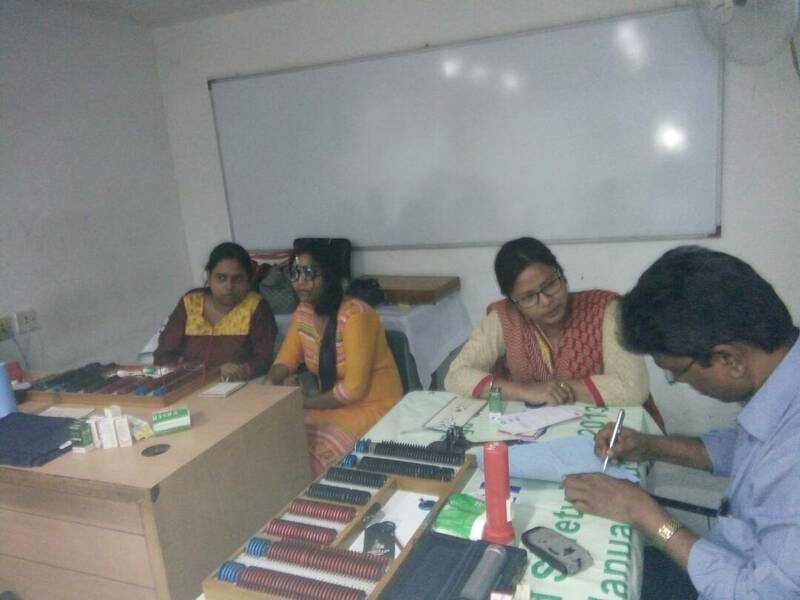 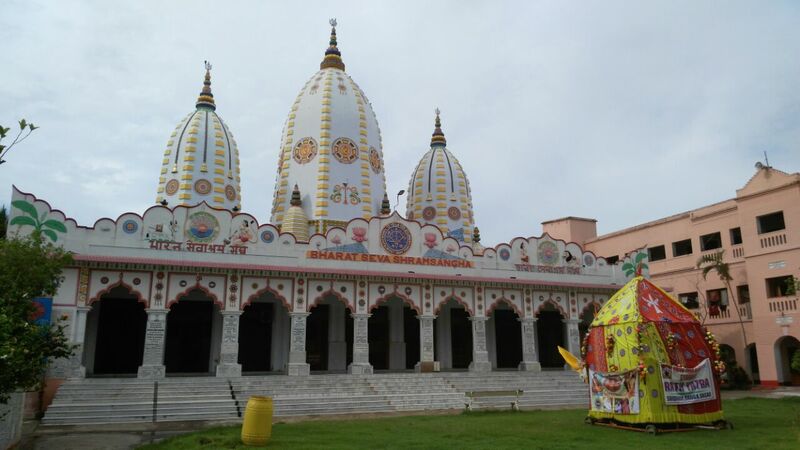 The camps are organised locally by Sahibganj Old Xaverians' Association (SOXA) of which our director Dr Amitava Biswas is a pioneering member. 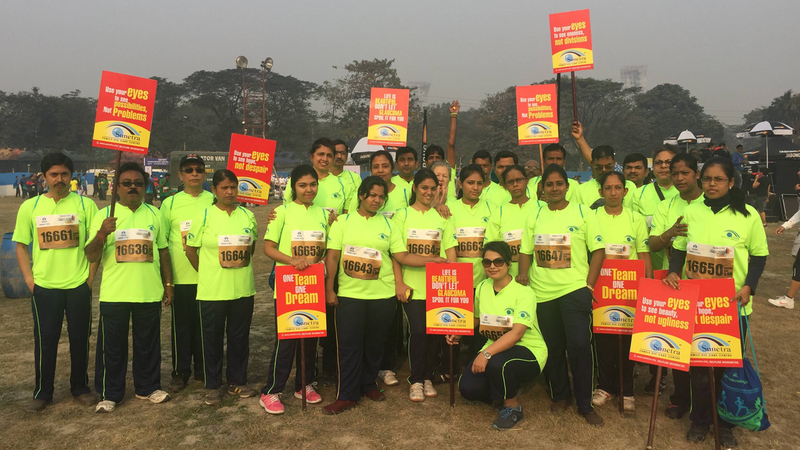 Respect &regards to the school principal, Fr Hillary D'Souza for his support. 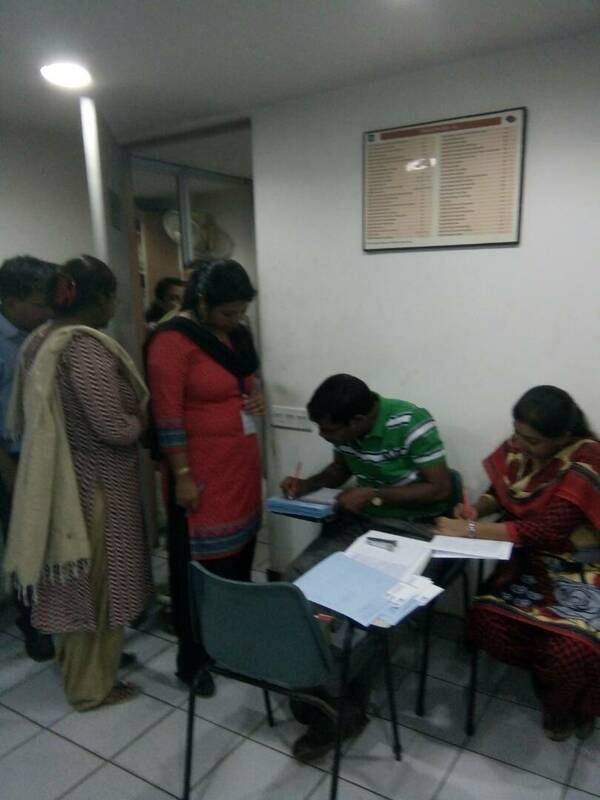 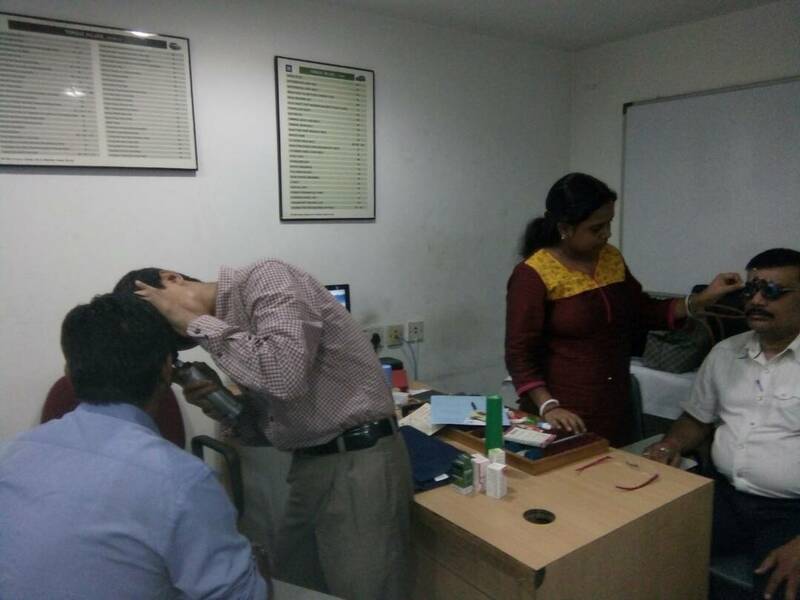 Free Eye Screening Camp held at Axis Bank (Survey Park Branch), Kolkata, by Sunetra Family Eye Care Centre on 18th June 2016. 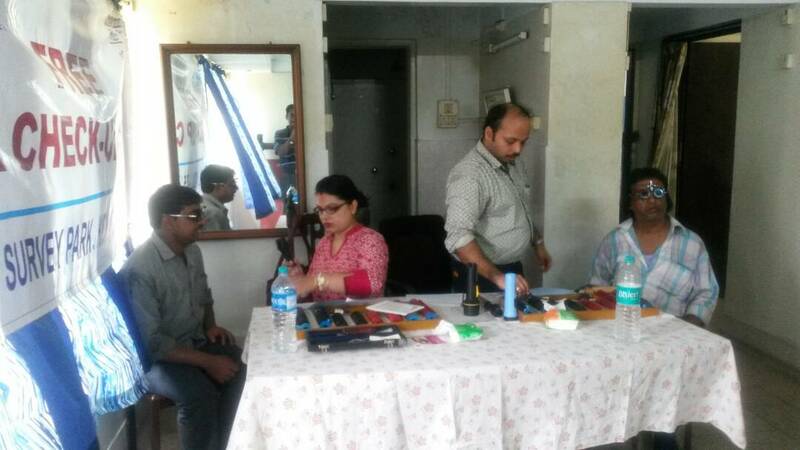 Customers as well as employees took part in it eagerly. 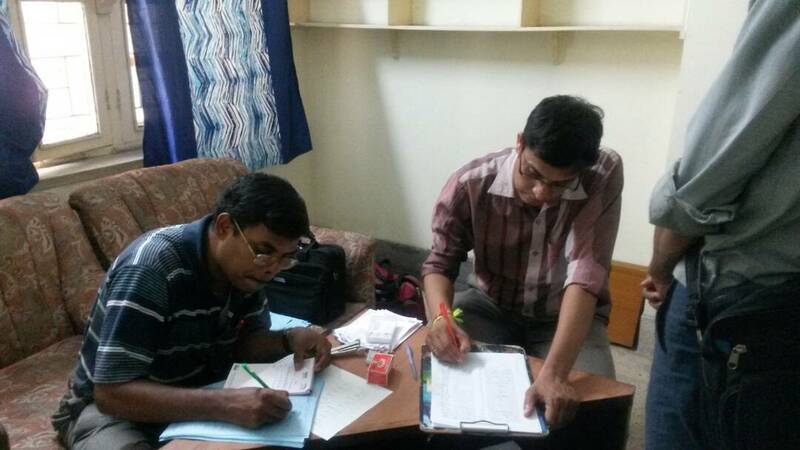 Arrangements by the hosts were praiseworthy. 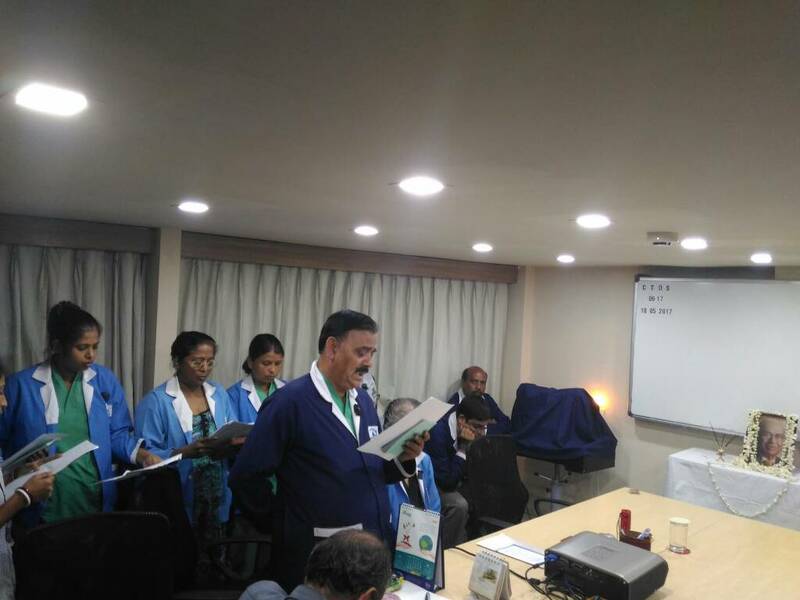 CTDS (Coffee Time Discourse @ Sunetra FamilyEyecarecentre)#7 on Sat, 18th June 2016 ...Neuro Imaging for Ophthalmologists by dr. Navin Jayakumar from Chennai...Runaway success.. Houseful attendance.. Rich interaction and discussion. 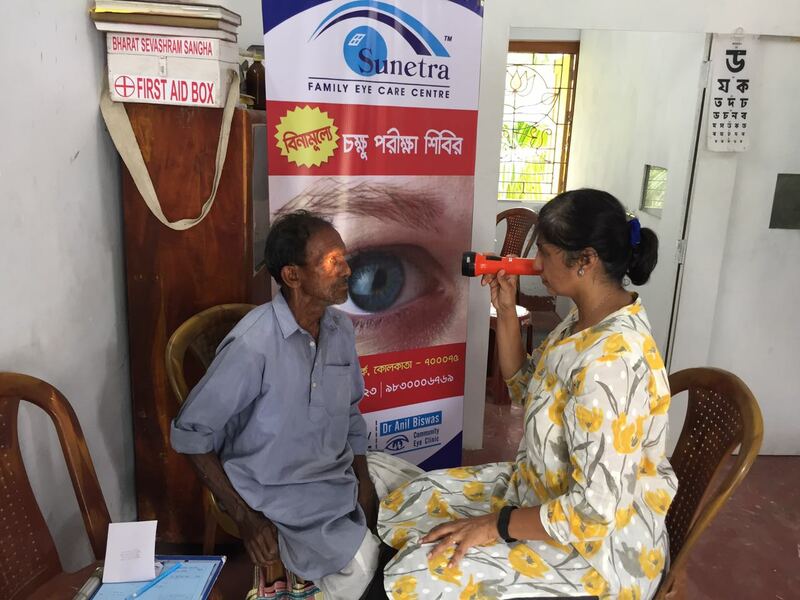 Free eye screening camp held at Engineers Club, Maidan Tent, Kolkata by Sunetra Fmily Eye Care Centre on 11th June 2016.. 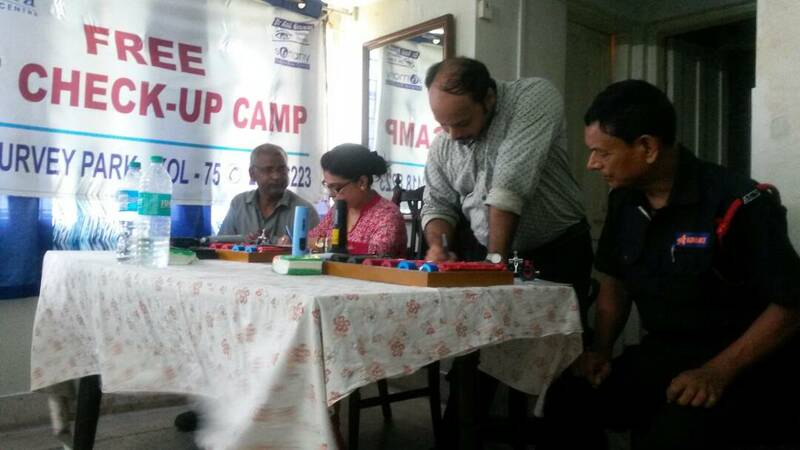 Excellent arrangements by the host team. 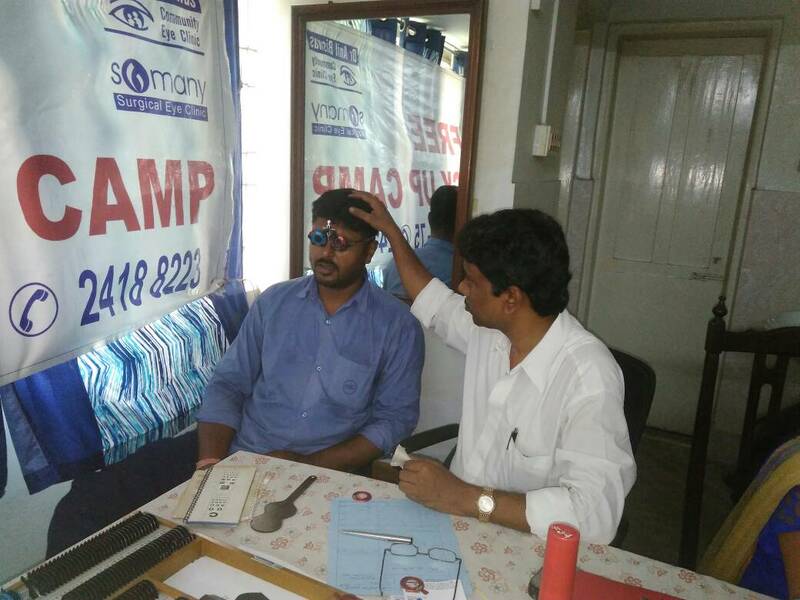 Free Eye Screening Camp at Katabon Slum School, Mukundapur, Kolkata on 29/04/2016 by Sunetra Family Eyecare Centre camp team.